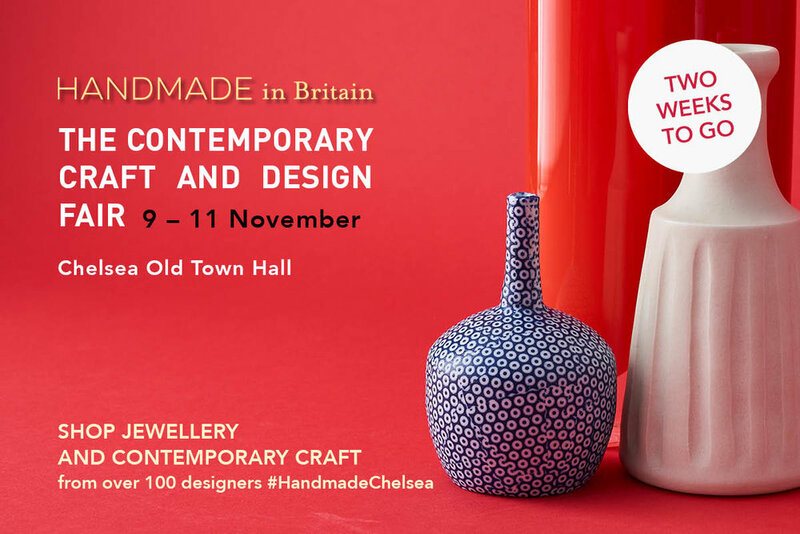 Handmade in Britain is an annual contemporary craft and design fair at the beautiful Chelsea Old Town Hall. Taking place over three days from Friday 9 – Sunday 11 November 2018, the event will celebrate the best in high-end design and craftsmanship from over 100 highly-skilled, UK-based designer-makers. It’s a fabulous opportunity to shop for gorgeous textiles, jewellery, ceramics, glass and more from a handpicked selection of designer-makers. Makers will be on hand throughout the weekend to talk about their work and showcase their collections.